Reduce Employee Turnover Rate - Hire Results Ltd.
Meeting the demands of today’s changing business environment requires building and retaining a loyal and motivated staff. But finding and keeping quality employees can pose a challenge. Today’s workers are no longer inclined to stay at one company for the duration of their careers. The most talented professionals often are courted by other businesses, and the effects of staff turnover can be costly. The time and money it takes to recruit, rehire and retain can quickly cut into a firm’s bottom line. Hiring Smart is the first step to developing a loyal, motivated workforce and keeping employee turnover rate at a minimum. 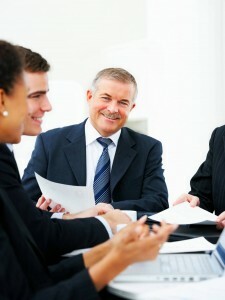 Other factors, such as competitive compensation and creating an employee-friendly work environment also play a role. Our experience with a large number of growing companies has shown that aside from salary, job applicants inquire just as frequently about corporate culture as they do other benefits. The implication is clear: The more enriching your work environment, the more likely you are to retain a staff of satisfied, productive employees. Finding and hiring good people can be a challenge for today’s companies. 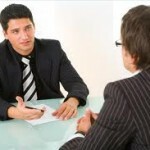 Often companies hire the candidate’s interviewing personality and not “on the job capabilities”. This will lead to a high staff turnover rate. A good looking and presentable candidate, with most of the right answers, may get the job, but…..can he or she produce the results you require? How can organizations predict a candidate’s ability to meet and exceed “on the job” performance requirements based on interviews and reference checks? Interviewing skills are one thing, but performing the “activities” that are critical to the candidate’s success…is something quite different!!! At Hire Results Ltd., our goal is not only to find good qualified candidates for our clients, but we “step over the line” and implement our proprietary Job Simulation Assessment Process which allows hiring managers and candidates to literally experience each other in real life business settings that are critical to the position. With the use of our unique scoring process methodology, we allow our clients to make logical business decisions rather than emotional ones on the individual, specifically, can this candidate execute at the level you want them to execute at? Many of our clients say that our process allows both parties to look three months into the job to see how each will react and interact with each other before the job offer is made. Therefore, it’s crucial to have a recruiting strategy in place that takes the emotion and the guesswork out of hiring. While it certainly takes more than money alone to attract and retain skilled professionals, it’s helpful to offer competitive compensation packages. Employees who feel they’re underpaid will also feel they’re undervalued and are more open to potential offers from outside firms. To aid in their retention and recruitment efforts, businesses of all sizes are paying close attention to employee compensation. Following are five elements found in many compensation packages. The foundation of most packages, is the fixed portion of salary employees receive for performing standard job duties. Companies must develop a strategy for the progression of base pay. This is most frequently accomplished through regular annual increases based on a performance review process. Performance-based pay has grown more popular with firms interested in recognizing exceptional performance without raising fixed costs. In addition to this advantage, performance-based rewards tie compensation to the achievement of corporate goals and can be a strong motivational tool. EBC is designed to retain staff over the long term and has gained in popularity as a recruiting tool with the increased use of stock options. Firms wishing to remain competitive are accelerating stock vesting schedules, offering employees more control of their assets and quicker access to profits. These are becoming more progressive. With increased emphasis on employee choice and work-life balance, new programs such as pooled vacation and sick time, employee concierge services and financial planning are being offered. This includes bonuses, extra time off and professional development opportunities – are key factors in defining a firm’s corporate culture. These incentives are excellent tools for rewarding specific behaviors or actions, such as employee referrals, overtime and team contributions. Awards don’t have to be costly to be effective. Recognizing employees in front of their peers or within a company newsletter, for example, can have a lasting, positive impact. Be flexible and tailor compensation to individual candidates. Pay a little more than prevailing salaries at other firms. Acknowledge your employees’ contributions as frequently as possible. Offerstaff members’ opportunity and reward them when they succeed. Compensation has a significant effect on how employees feel about their jobs, so be sure to periodically reevaluate the packages your firm offers and how well they keep pace with the market. Offering fair and competitive compensation will help you reduce turnover and the costs associated with it. Employees’ top career concern in the new millennium involves balancing family and work demands – even above job security and earning a competitive salary – according to a research study commissioned by our company. Increasingly, employees are asking for corporate programs that reflect a more flexible business environment. The challenge for businesses is responding to these concerns without sacrificing productivity. Encourage your staff to participate in developing solutions for enhancing your company’s work environment. Solicit feedback from employees by periodically conducting anonymous satisfaction surveys. Ask not only for improvements they would like to see but also practical ways of implementing these suggestions. Here are some additional tips. Accentuate those aspects of your business that most appeal to job candidates. Look for areas in which your company excels and emphasize them when you interview applicants. For example, if your firm is small, you may have more flexibility than larger companies when it comes to offering nontraditional benefits, relaxed business attire or a faster track to career advancement. Promote management practices and personnel policies that allow for personal days when necessary, and provide services on premises that save employees time. Most people work harder and do a better job if they feel you value their opinions, you trust them to be responsible and you empower them to make decisions. The way a company hires, trains and rewards employees reveals a great deal about its values. Hiring for aptitude and then training for career advancement goes a long way toward building loyalty and increasing retention rates. Companies with worker-friendly management practices are at a distinct advantage when it comes to hiring qualified talent. These programs help create a productive, satisfying workplace where the employee turnover rate, as well as recruitment and training costs, are kept to a minimum. 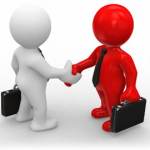 The best ways to reduce employee turnover rate is to hire the right employee! This may sound simple, but it is correct. There are many ways to improve the hiring process that expand far beyond just a traditional interview. Job candidates, especially in sales, are experts at selling themselves, and making it appear they are great for the job. The problem with this is that you do not actually get to see the candidate perform on the job. Statistically speaking, the best way to help your company be more profitable, hire better & reduce the cost of employee turnover is with the use of hiring simulations. These work simulations, commonly referred to as an in-tray exercise, inbox exercise & sales assessment, are vital for companies to make the best hire. Hiring Simulation Assessments is one of the global leaders in this process and can offer you advice to get started on the right path.